It’s hard to establish how exactly was Australian football born. One thing for sure is that the sport is almost 200 years old: this means that Aussie Rules is almost as old as the country itself. A common assumption is that Australian football is a spinoff of the traditional football played in England – this couldn’t be more wrong! Actually it was the Irish immigrants and their traditional games, as well as the Aboriginals in Australia who contributed to the early versions of the game. Later on, the sport’s rules were standardized and it soon became a widely popular sport. Another important thing to know about Aussie rules is that the city of Melbourne is considered to be the place where this sport first appeared. 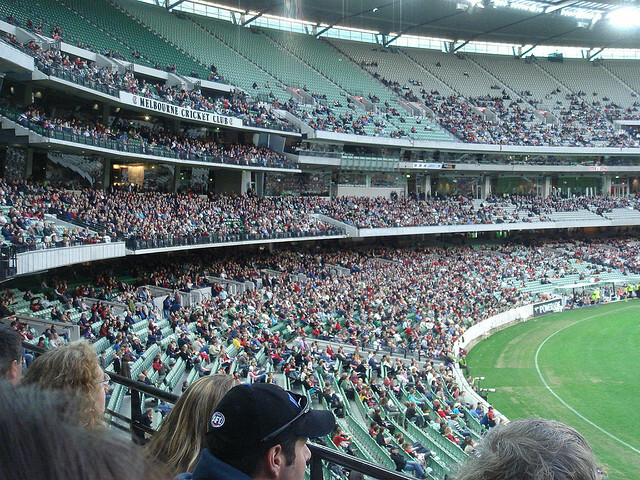 Aussie rules might be a national Australian sport, but it has gained fans and supporters all over the world. Australia’s neighbouring countries even have their own national leagues. Generally speaking, wherever there’s an Aussie community, chances are high that you’ll also see them playing Aussie Rules from time to time. 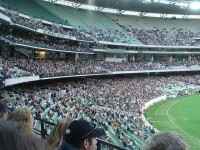 There are many jokes regarding the Australian football culture and the atmosphere on the stadiums. The use of foul language on the stadium and in sports bars shouldn’t impress you: it is part of the universal football culture, just like beer, loud comments and interjections. Like any respectable sport in the world, Aussie Rules has its Hall of Fame. The actual Hall is located in Melbourne, the place where it all started, as part of the National Sports Museum. 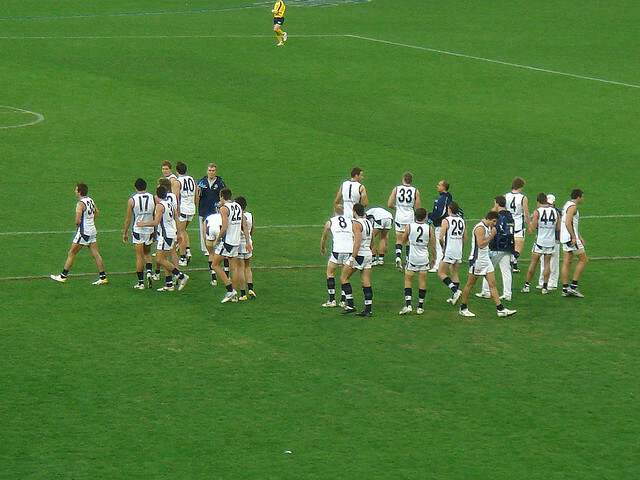 This is the best place to learn interesting facts about Aussie Rules, watch instructive videos and even get into the shoes of a player or commentator. You will learn about the most talented and successful players in the history of the sport and their records. This is also the ideal place to buy Aussie Rules related souvenirs and merchandise like t-shirts, scarves, caps, key chains etc.